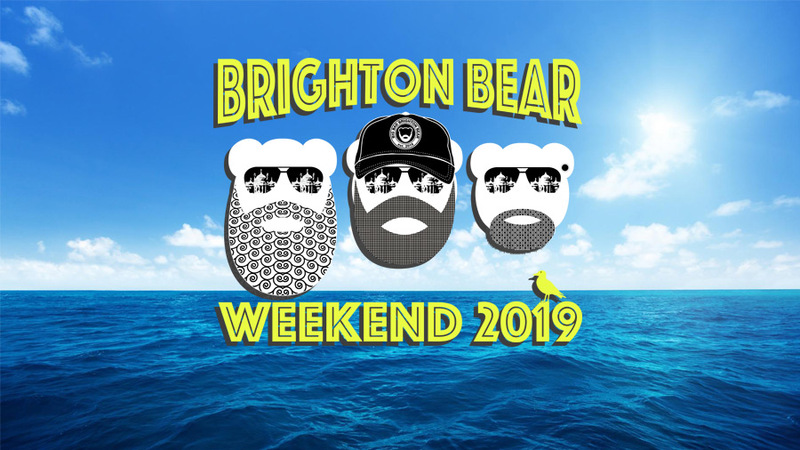 Brighton Bear Weekend 2019 will run from Thursday 13 to Sunday 16 June. Check out the weekend’s programme of events and venues. Most events will be free to enter, but some will require a modest entry fee or a ticket bought in advance. Also, you can buy a wristband to receive great discounts on club entry, drinks and more. For more information about tickets and wristbands, see our FAQ. Read our blog starting below this post, and find information about travel and accommodation. See photos from past events, and read press articles and interviews. Visit our online shop to buy tickets (from 30 March), wristbands and t-shirts. Subscribe to our mailing list to get regular news and updates, and contact us if you have any questions. You can also find loads more information on our Facebook page. We can’t wait to see you in June for four days of fur and fun in the sun! Our Easter Quiz at the Camelford Arms and the accompanying raffle raised a fantastic £359.70 for the Brighton Rainbow Fund. Thank you to the Camelford Arms for hosting this annual event as always, and to everyone who came and supported us! 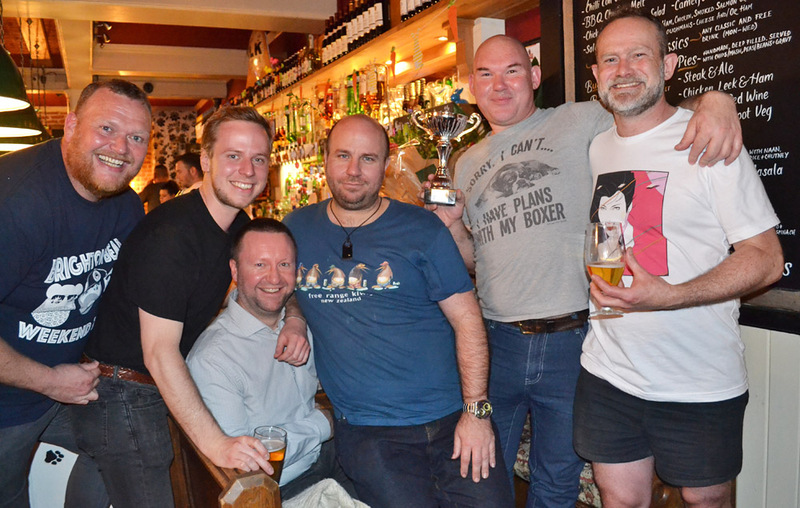 The winning quiz team, Hip Hip (aka the Brighton and Hove Sea Serpents rugby lads, pictured below) narrowly missed the £300 star prize, and went home with a box of chocolates instead. Better luck next time, boys! Click the picture below to view a gallery of photos of photos from the night. Get ready for our Easter Quiz! It’s that time of year again: our eggs-citing Easter Quiz will be at the Camelford Arms tonight (Thursday 18 April) from 7:00 pm. The winning team could win the top cash prize of £300! 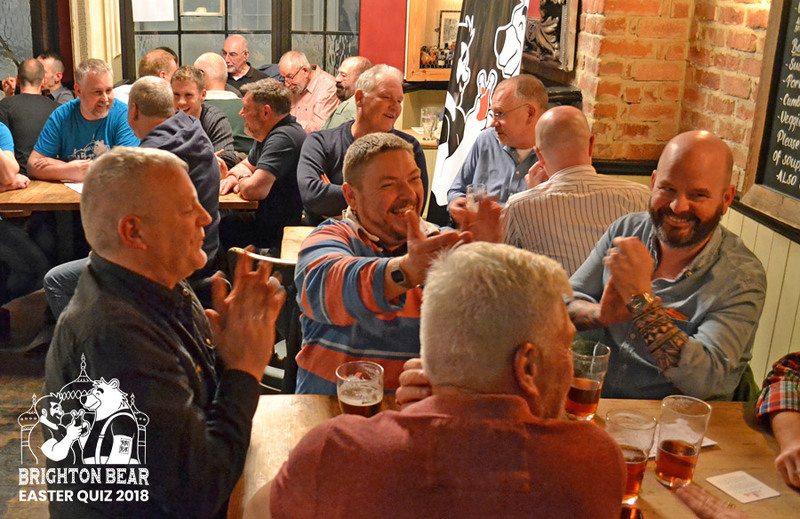 It costs just £2 per person to enter the quiz, with £1 per entry being donated to the Brighton Rainbow Fund. If you don’t win the quiz, you can also play our big Easter raffle for a chance to win fabulous prizes including Sunday lunch and wine at the Camelford, a prosecco and chocolate hamper, a floral bouquet, wine and Easter eggs. If you’re coming, please let us know on the Facebook event page. See you there! 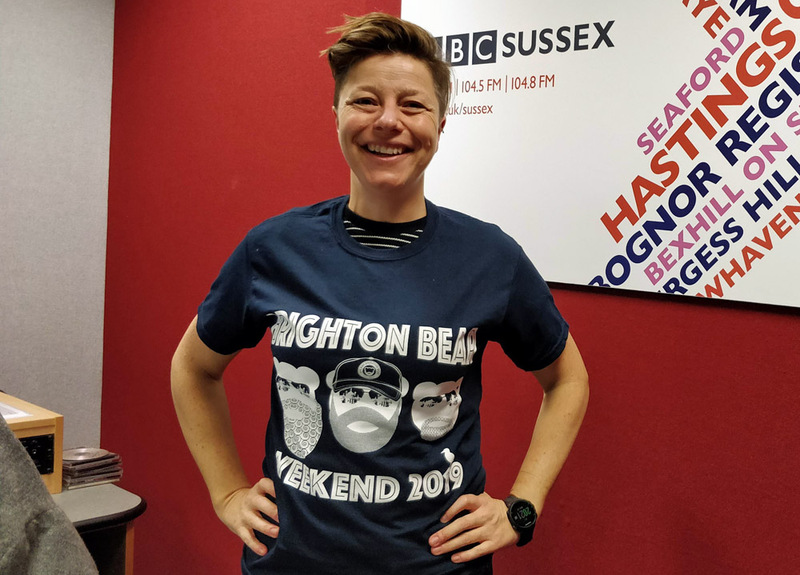 Brighton Bear Weekend on the radio! 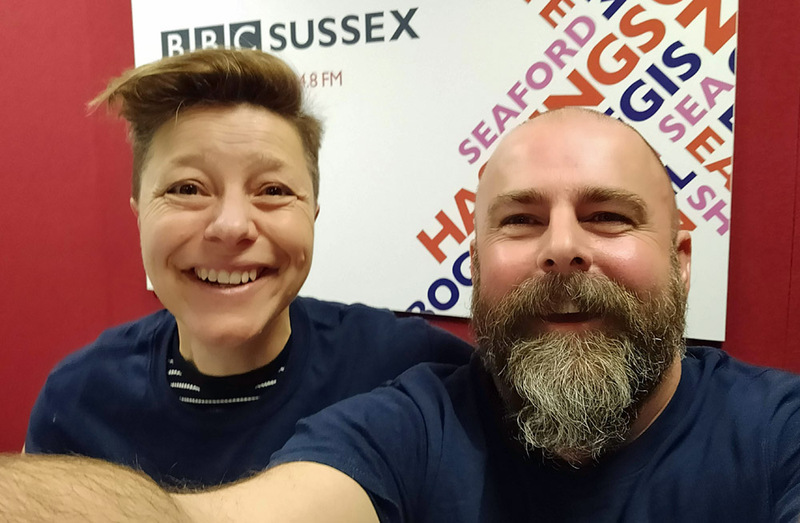 We were on The Big Take Over with Kathy Caton on BBC Radio Sussex/Surrey last night, discussing this year’s Brighton Bear Weekend, our new event lineup, the bear community, and much more! You can listen to it on BBC Sounds (you may need to register), with our bit starting 1 hour 8 minutes in and lasting about ten minutes – we managed to cram quite a lot of information in, though! Need somewhere fabulous to stay during Brighton Bear Weekend in June? Red Brighton Blue guest house are offering 10% off two night bookings, and 20% off three or four night bookings, when you book direct by phone or email at least seven days in advance and quote BRIGHTON BEAR WEEKEND. This offer is valid throughout the year, not just during Brighton Bear Weekend! This beautiful boutique guest house is located just off the seafront in Kemptown, a short walk from most of the weekend’s venues. All rooms have ensuite bathrooms and deluxe facilities. Check out their website for more information.